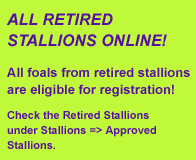 As a member you have now access to the Registry’s online database with tons of information about all active stallions and more than 5000 offspring. Search for the stallions that fulfill certain criteria (i.e. high jumping scores at the inspection and the stallion testing) or look up the foals of each stallion and the scores they received. This unique service will give you the most complete information in the sport horse industry. 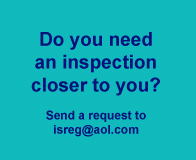 As a current member of the ISR-Oldenburg Registry you just need to sign up for your free online access using your membership number. If you want to become a member to use this unique information pool you can enroll here. The membership fee is $ 80.- per calendar year. We hope the use of the data base will help you to learn more about the background of the stallions, and will help you with your research for the best breeding decision!